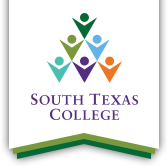 The spring 2019 semester at South Texas College officially began Jan. 22. As they arrived, students attending the college's six campuses were introduced to a variety of activities arranged to get them back on track and ready for what is sure to be a dynamic year at STC. The traditional "Welcome Week" celebration took place on Jan. 30. South Texas College staff and faculty honored its director of Continuing Professional Workforce Education (CPWE) who retired from the college in early January. After working for 15 years in the chemical industry, Aguirre joined South Texas College in 1997 as a Training Specialist for the Partnership for Business and Industry Training department and became director of that department in 1999. He returned to college and attended from 2002 to 2006 where he received his master’s degree in education, obtained his teaching certificate, and then taught Mathematics at Nikki Rowe High School. He returned to STC as Director of Continuing, Professional and Workforce Education in 2006. Beginning her career with the college when it was previously known as Texas State Technical Institute in 1985, longtime administrative assistant Sylvia Bernal announced her retirement on Jan. 30. Bernal said she initially worked for 13 years in the college’s Office of Admissions, followed by the Associate Dean of Admissions. She then worked for the late Dr. Ramiro Casso when he was served as STC’s Vice President for Institutional Advancement until his own retirement in 2002, and cappedher career with the Valley Scholars Program. After more than 14 years with South Texas College, Isabel Ornelas retired from her position as executive administrative assistant for STC Vice President of Information Services, Planning, Performance and Strategic Initiatives (ISPPSI) Dr. David Plummer Jan. 29. Ornelas said she began with STC in 2005 as an executive administrative assistant for Vice President for Information Services and Planning Jose Cruz. At her retirement celebration, Ornelas said STC is the best place to work, and she was blessed to have been given the opportunity to contribute among staff and faculty.